Remembering September 2016 Surgical Strikes in POK - Time for another round? Discussion in 'Indian Army' started by IAF Fan, Sep 23, 2017. Attack on army camp at Uri by the Pakistani terrorists on 18 September 2016 in which 19 soldiers lost their lives served as a catalyst for Indian political establishment and PM NM gave his consent to deliver a brutal response to the attack. IA presented the revenge plan to GOI, which had target locations, how deep they are located inside POK, rough estimate of the number of terrorists that could be present at these targets, resources that would be required for the mission and also the number of causalities expected for each of the targets. Other options including precision strikes through the air were also considered but to send out a strong message SF operations across the LOC was given the go ahead. On 27th September 2016 the SF teams (who had been deployed at the LOC for a week) received the final go ahead to destroy the terror launch pads identified. Post that 3 separate SF teams went across the LOC and struck 4 terror launch pads on the intervening night of 28-29 September 2016. As per media reports a total of 38-40 terrorists and 2 Pakistan Army personnel were killed at these 4 targets. The operation was successful with no causalities suffered. Crossing the LoC was a step in the right direction but we expected this would a new normal, however we have not conducted a similar operation ever since, even though we have intelligence inputs about terror launch pads across the LoC being activated again. Can and should we conduct another operation of similar nature? What would the next surgical strike be like? Angel Eyes and Nilgiri like this. Absolute element of surprise is only with you the first time you do something. It would be a mistake to turn this into a regular event, don't expect such strikes to be 100% successful or casualty-less if they are done again and again. The best thing would be for the IAF to acquire armed drones and standoff weapons capability; and then regularly strike terror targets across the border without taking any real risks. And then, if and when necessary (like after the death of 19 Indian soldiers in the Uri attacks), conduct physical cross border strikes, but very selectively. Bloom 17, omya, Angel Eyes and 1 other person like this. Let's show our strength one more time. They aren't serious about. Let our force grab Baloch and liberate them Pak. By all means, they will cry and feel the loss. Jaihind!!! It’s been a year since India conducted and publicly acknowledged a surgical strike against Pakistan. While several aspects of the operation are still confidential, what we know is that the Indian Army struck multiple targets on the same night in Pakistan Occupied Kashmir (PoK). The Indian Army offensive had, according to Lt Gen (retd) DS Hooda, who at the time was the Northern Army Commander, caused panic among Pakistani commanders. Here are excerpts from a conversation with the officer, who at the time was in-charge of overseeing the planning and execution of this dangerous mission. How prepared was the Indian Army to conduct the surgical strike on such short notice? After the 2015 Myanmar strike, we had started preparing for contingencies like this. There was a contingency plan, an idea of the kind of targets, and how the strike would be executed. Some work had already been done prior to the surgical strike. Once Uri happened and we lost soldiers, we took a decision, and by ‘we’ I mean the government and the army, to respond. In the period between the Uri attack and the surgical strike, we updated our intelligence and set the final target list. But broadly speaking, the planning was done in advance. Who initiated the idea of conducting a surgical strike? Did the Army first submit a recommendation or did the government seek a status report? There was mutual acceptance that after Uri, something needed to be done. Obviously, the government gave the final go ahead, but there were discussions as to what our response should be. During this process, it was decided that multiple cross border strikes into PoK is the best option. The decision was arrived at after a lot of deliberation and discussion as opposed to just a firm order. But the final clearance was given by the government. By now it's known that this wasn't the first cross LoC strike by India. But the first one publicly acknowledged at the highest level. In hindsight, was that a good move? Yes. It wasn't the frst one. But in some ways, it was fairly decisive because we hadn't attempted an operation on this scale. I think there were many good reasons to go public. The cross border attacks from Pakistan through 2015 and 2016 had seen an increase. Then there was Pathankot. A number of attacks had taken place in the Jammu region. In 2016, infiltration was up and then we had massive protests after Burhan Wani’s death in Kashmir. A lot of that support had been engineered from Pakistan. So, I think a strong public message needed to be sent. There was also our own constituency. After all, our soldiers had to be told that they are losing their lives in attacks like Uri, and all this had to come at a cost to Pakistan. That all of this will not go unavenged. The public of India had started asking questions. What is the Army's level of preparedness and what will be the Army's response to these attacks? Are we going to take it lying down? So, this message had to be taken to Indian public that here's your Army, capable of taking decisive actions. If we had kept quiet about it, I don't think all of it would have happened. When you talk about scale, can you please elaborate a bit more on it. You told that at such a scale, an attack never took place? I can't tell you the number of the targets that we hit. But I can tell you that we conducted multiple strikes along the Pir Panjal range, the Jammu region and the Kashmir region. There were a number of strikes that went on the same night. So when I talk about the scale of the surgical strike, I’m referring to the distances between each strike, the profile of one target being different from the other, and that they were struck at different times. So from the planning perspective, it was a huge issue because the first strike went in a few hours before the last one. So we were worried about the implications too, as we were going to lose the element of surprise after the first strike. The scale would be different had we planned to hit one place and come back. What were your main concerns as you were preparing for the strike? It wasn't me alone. We had a small planning cell in the headquarters. There were many people involved in the Army headquarters, the military operations directorate was in the loop. We were clear that we are sending our soldiers across into one of the most heavily fortified borders in the world. Our role was to empower the soldiers, give them everything they need. The big questions in our mind was – have we equipped them properly? Have we given them all the tools and the intelligence that they will need? Have we thought through all the contingencies that could take place? Have we catered for all of them? Frankly, these were our big concerns. In hindisight, would you have done anything differently? How do you measure success? So, we hit all the targets, we didn't have a single casualty during the operation. Everybody came back safely. That was one key element – whatever happens, nobody is going to be left behind. So, if you ask, would I have done something differently, I don’t think so. Everything went as planned. You were aware that this surgical strike is going to be publicly acknowledged. Did that put any additional pressure on you? They had given us a responsibility and we were quite conscious of it. I was also aware that the next day an announcement is going to be made by the DGMO and the spokesperson of the MEA. That of course, did add some pressure. When there is deniability and something fails, you can keep quiet about it. In this case, the government was quite clear that they wanted to announce it. Yes, that does play on your mind that tomorrow morning, the people are going to hear what the Army did. What do you reckon we have achieved with this surgical strike? The Army were quite clear that this one surgical strike is not going to stop terrorism from Pakistan or reduce infiltration. We were quite prepared that as a response to this, Pakistan might well step up infiltration of terrorists into that area. To hope that this is suddenly the panacea of all evils and terrorism is out of Kashmir, that wasn’t our expectation at all. But, there were some positives. We talk about moral ascendancy over the enemy. Battles are won in the minds of commanders. We saw a lot of panic on the Pakistan side. We were seeing their intercepts, listening to them. There was fair amount of panic and fear that there could be another strike. Leave of the soldiers was cancelled. There were fears of something more. That was one positive. Second is, the confidence in our ability to carry out complex cross-border operations. There were always doubts after the Myanmar operation that something like that cannot happen in Pakistan as the border is very heavily guarded. I think confidence of the special forces in carrying out such operations. And of course, the morale of our soldiers. These are some tangibles. But I think these are important. Another BAT attack foiled today. As per ANI report, Army Chief Bipin Rawat said yesterday, "Surgical strike was conducted to send a message and if adversaries do not understand, it will be repeated." To remember this event, a surgical strike must be launched from sea, air and ground on every 26/09. ISI must be on their toes and they MUST burp their mothers-fed milk. Jaihind!! 30th is Dusshera. Let us show Pakistanis some music. They are trying to avenge surgical strikes, lets do a massive fire assault on 30th all across LOC. brahmos_ii and IAF Fan like this. Time is right to destroy the terror camps again. As per reports, around 400 terrorists in launch pads are waiting to infiltrate before the winter sets in. Just smoke them out from their holes or launching pads. No need to cross LOC. MOAB(mother of all bombs) is enough. Jaihind!! dis what u need drones for. Drones are noisy, and easily shot down considering the intense SAM coverage in PoK region. Reason why India does not use Harpy UCAV? Because Pakistan will retaliate with its own UCAV on sensitive military posts and blame India for starting it. We should go for air strikes this time. We are capable of doing that without even violating Pakistan's air space. There is no need to wait for the adversary to be successful in one of their attempts to cause damage before taking action. Now is the time for preemptive action. Two civilians were injured as the Pakistan Army on Wednesday targeted forward posts and villages along the Line of Control (LoC) in Poonch district of Jammu and Kashmir with mortars and small arms fire. The Indian Army retaliated strongly and effectively and the firing is still on, a defence spokesman said. "Pakistan Army initiated unprovoked and indiscriminate firing of small arms, automatics and mortars from 0815 hours in Poonch and Bhimbher Gali sectors along the LoC", the spokesman said. Pakistani troops also targeted dozens of villages in LoC in Bhimbher gali, Balakote, Shahpur and Poonch with mortar shells and automatic weapons, leaving two civilians injured. The injured have been identified as 55-year-old Sham Akhtar and 28-year-old Raza Ahmed. 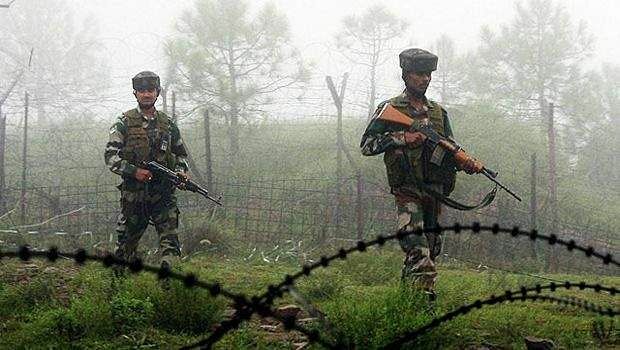 On 24 September, two soldiers were injured as Pakistan opened fire at forward posts along the Line of Control (LoC) in Balakote sector of Poonch district. On 23 September, Pakistan troops targeted BoPs in Arnia, RS Pura and Ramgarh and Poonch sectors along the international border and LoC in Jammu, Samba and Poonch districts resulting in injuries to seven persons. Over 20,000 people have fled their hamlets along the IB in Arnia and RS Pura sectors due to firing and shelling from across the border. There is certainly little expectation that Pakistani militants, under varying degrees of control by Pakistan"s military, will be deterred from initiating further attacks. SRINAGAR: After army’s surgical strikes on militant launch pads across the Line of Control (LoC) on the intervening night of September 28/29, at least 18 soldiers have been killed, two of them beheaded, in Pakistani troops firing, shelling and cross-LoC raids along the Line of Control (LoC) and International Border (IB) in Jammu and Kashmir. One of the soldier is also in the captivity of the Pakistani troops. Army on September 29 announced that surgical strikes were conducted on militant launch pads in Pakistan administered Kashmir (PaK) during the night inflicting heavy casualties to militants. Although Pakistan denied that surgical strikes had taken place but the border ceasefire violations and firing and shelling by Pakistani troops along LoC and IB witnessed surge immediately after the surgical strikes. Army suffered first casualty in cross-border firing and shelling on October 16 when Sepoy Sudees Kumar was killed in Pakistani troops firing along LoC in Rajouri. Till October 16, Pakistani troops had breached the border ceasefire, which had been in place since November 2003, 25 times after the surgical strikes. The ceasefire violations by Pakistani troops have surged and now there are near daily skirmishes along the LoC and IB in J&K. Defence sources said there have been more than 300 ceasefire violations by Pakistani troops along LoC and IB in the State after September 28. In these ceasefire violations, army and BSF suffered 18 casualties. Two of the soldiers were beheaded in two cross-LoC raids by militants and Pakistani troops. Pakistan claimed to have captured an Indian army soldier Chandu Babu Lal Chauhan on September 30. Army, however, maintains that the soldier had crossed the LoC inadvertently. At least 12 civilians have also lost their lives and dozens other injured in cross-border firing and shelling in the State since September 29. A day after three soldiers were killed and body of one of them beheaded by BAT team in a cross-LoC road in Machil sector, Army launched a day-long counter-offensive on Pakistani posts along LoC on November 23, killing three Pakistani troops. An army official said Pakistani troops have suffered heavy casualties in the retaliatory firing and mortar shelling by Indian army and border guards during the ceasefire violations. “We have destroyed scores of their posts,” he said. “The army men, who are on highest mode of alert, forced the militants flee back to other side of LoC,” he added. On October 16 Sepoy Sudees Kumar was killed in Pakistani troops firing along LoC in Rajouri. On October 22, a BSF jawan Gurnam Singh, who was critically injured in Pakistani troops firing on October 20, succumbed. The next day another BSF jawan Sushil kumar was killed in Pakistani troops firing along the IB in RS Pura sector. Four days later (October 27), BSF Head Constable Jitendra Kumar was killed in Pak firing along the IB in Jammu district. Oct 27, army man Sandeep Singh Rawat was killed during a gunfight with infiltrating militants in Tangdhar sector of Kupwara district. This is not the response of a country which is panicking and if you look at the article it was published on 24th November 2016 that was our response to your claim of Surgical Strikes and since November your own media has claimed that we have entered twice and killed your soldiers in your area. We deny all of it but your own media says this so Please want to try another round of something which actually never happened but gave Pakistan a free hand to respond and do what ever and How we want than please go ahead. We are not primates. If we have the , just trash them with a surprising attack and don't wait a nanosecond. Let's not wait for the political faceless cowards' nod.